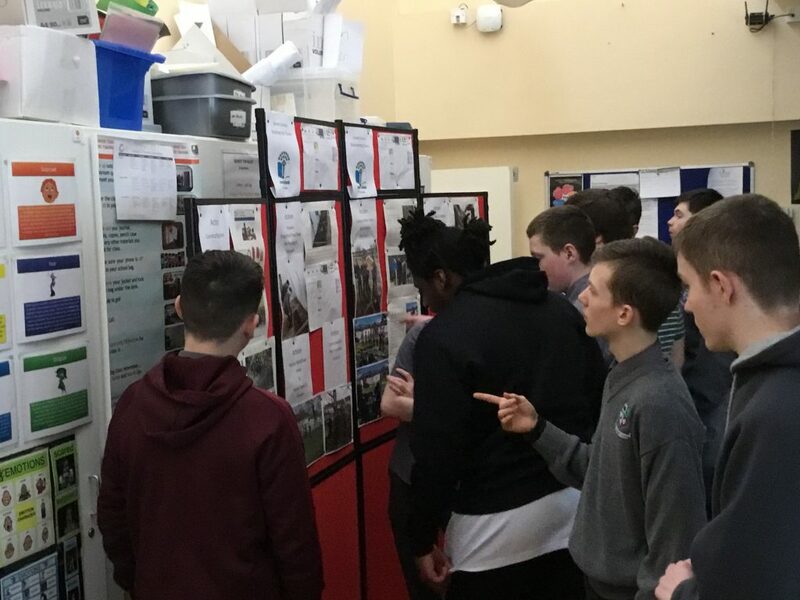 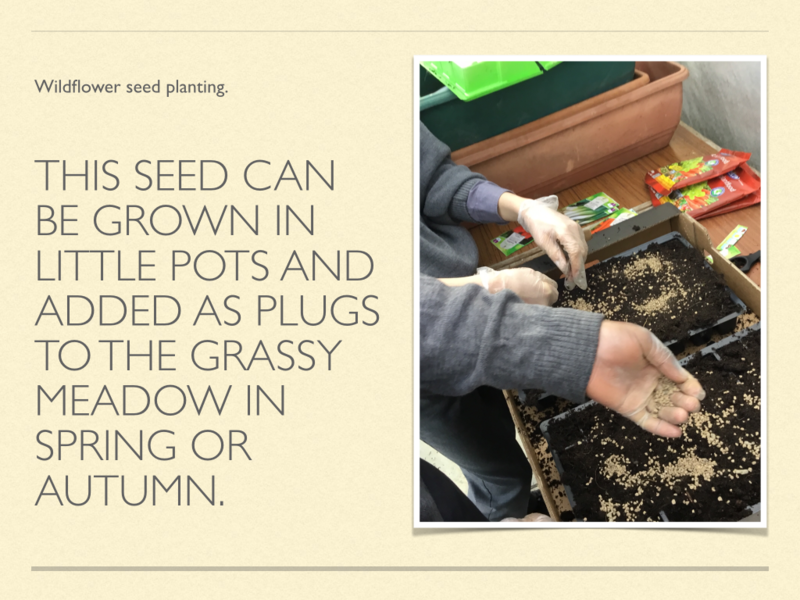 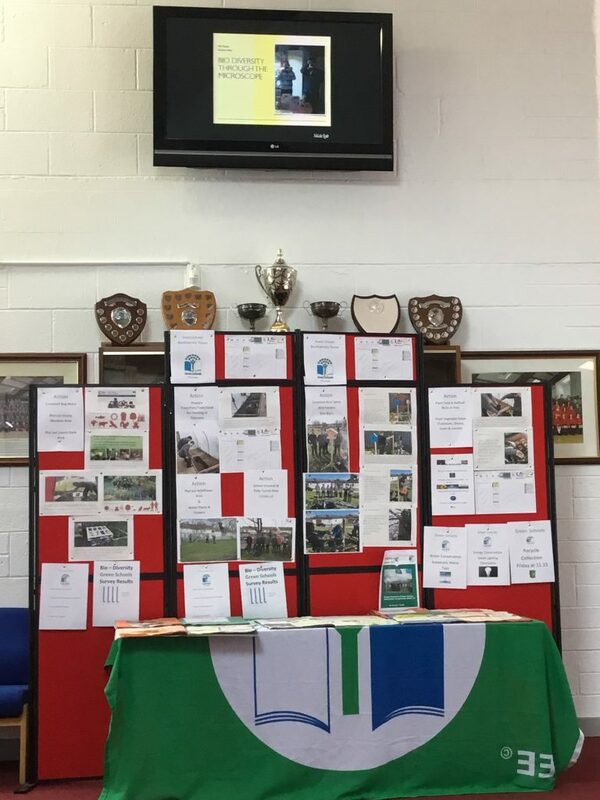 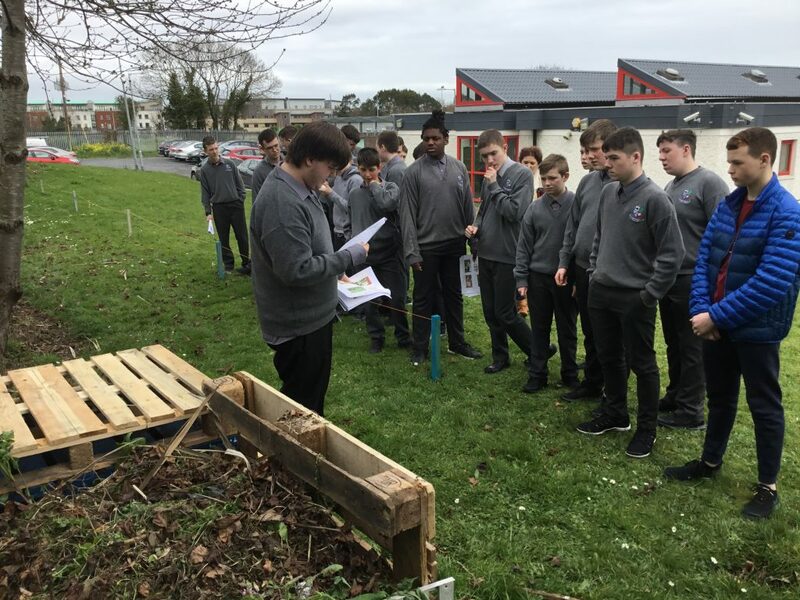 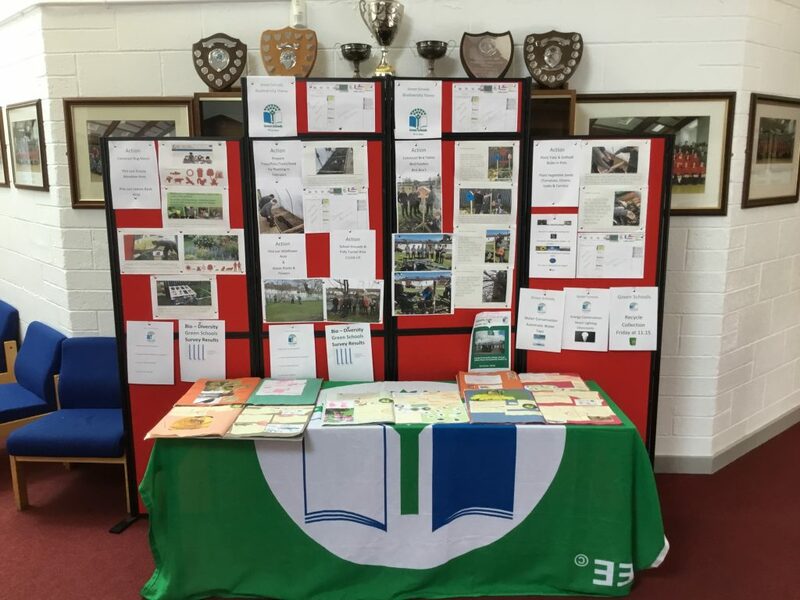 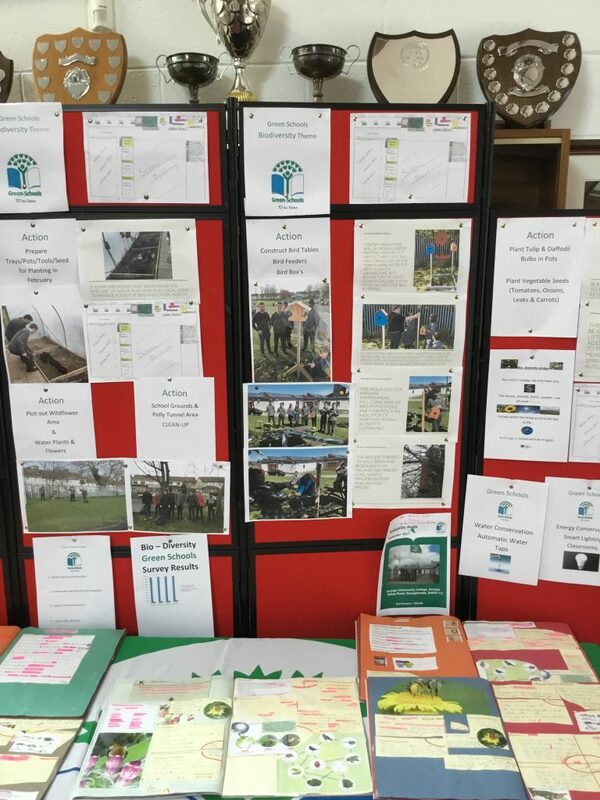 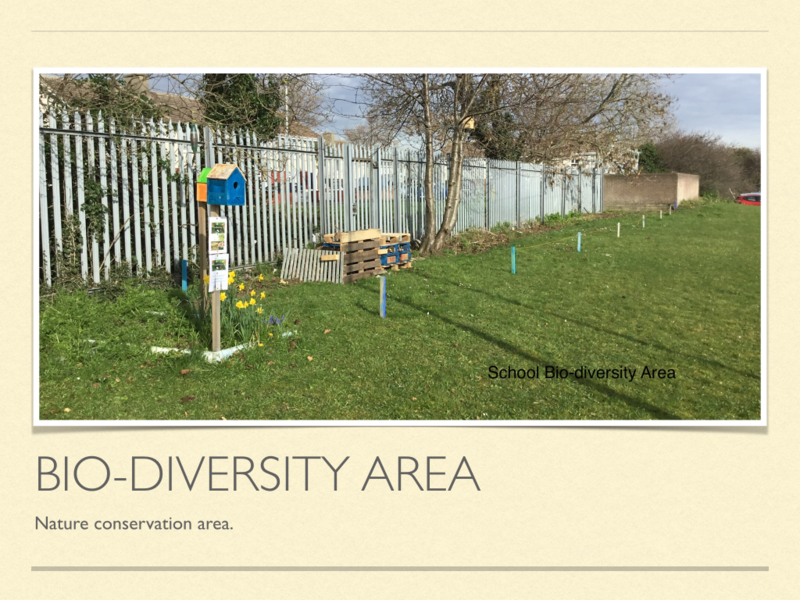 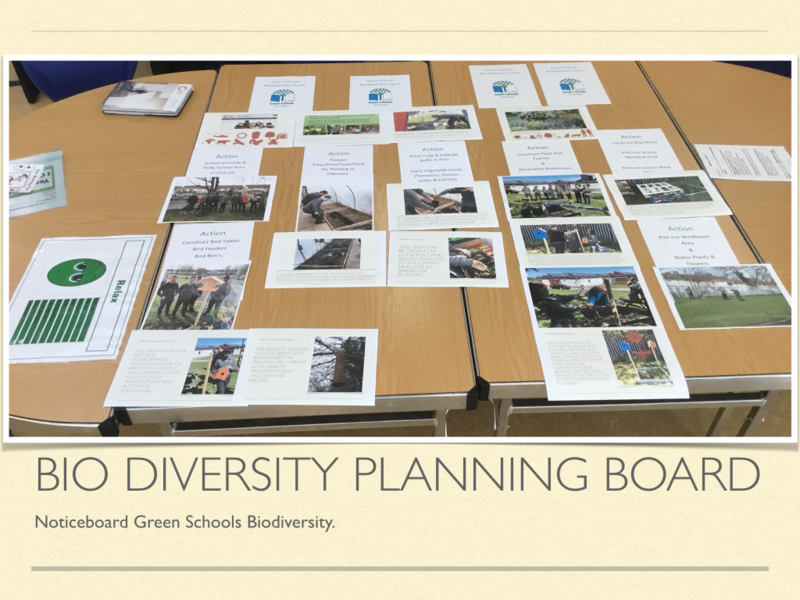 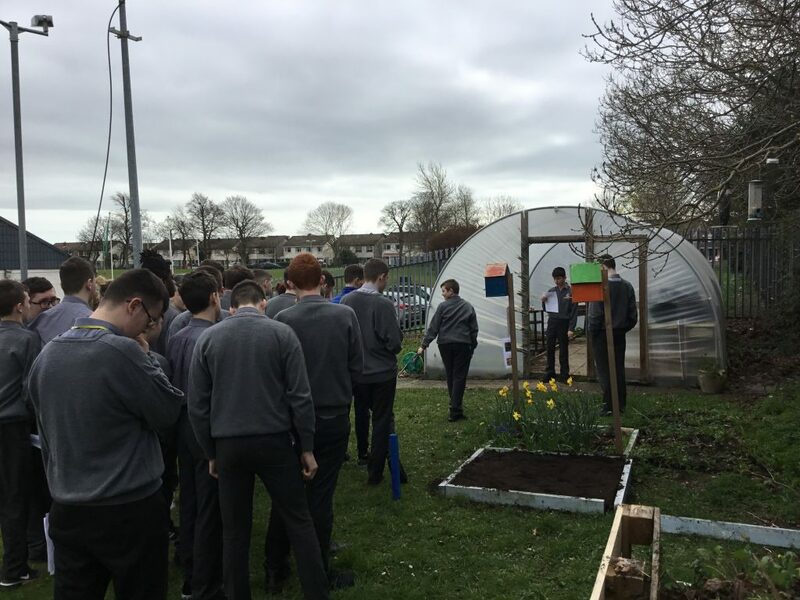 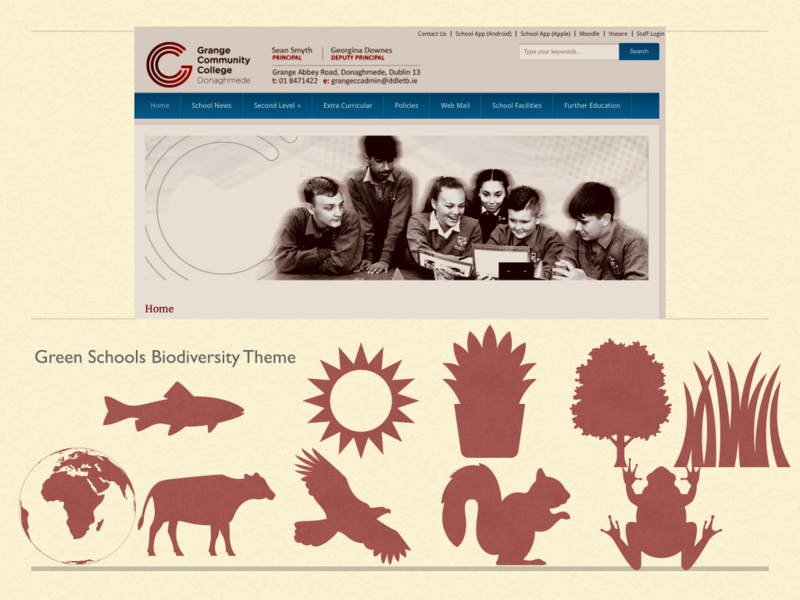 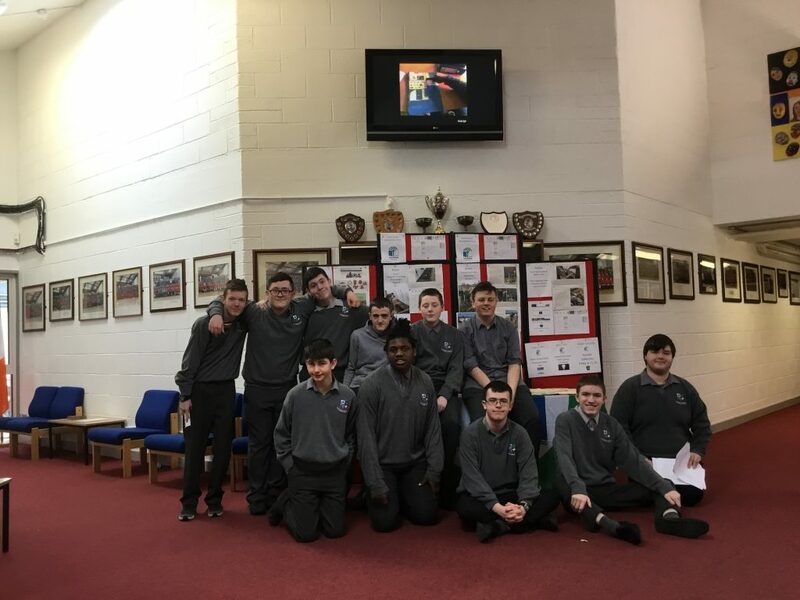 Congratulations to our green schools committee members (Dominic, Colm, Aaron, Bobby, Killian, Daniel, Eugene, Jack, Sean, Kingsley, Craig & Clayton) who entertain staff and students this Thursday, demonstrating all of their great work so far on our green schools bio-diversity theme. 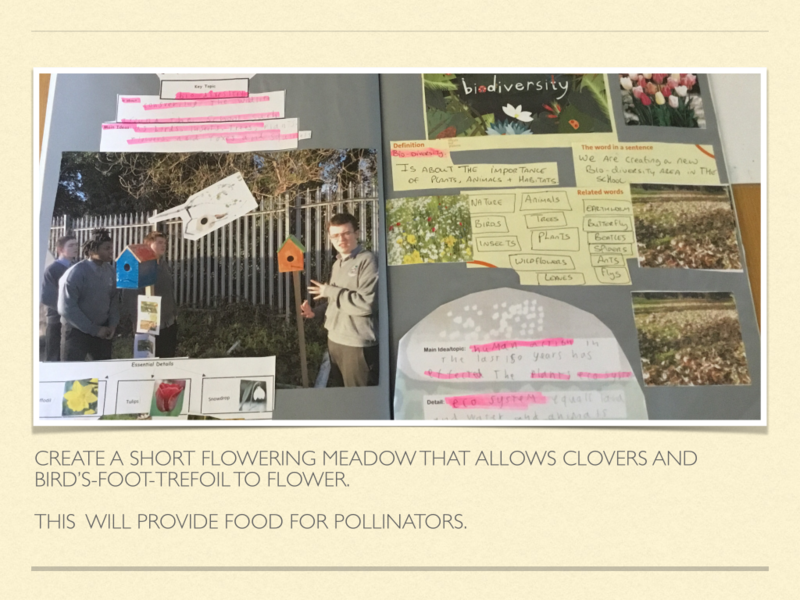 All of our work so far will be on display at the front of the school on Thursday. 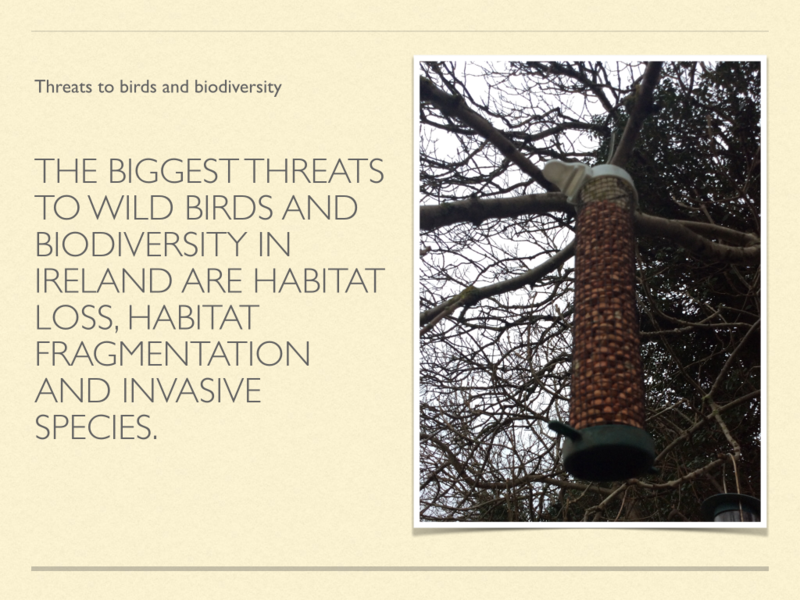 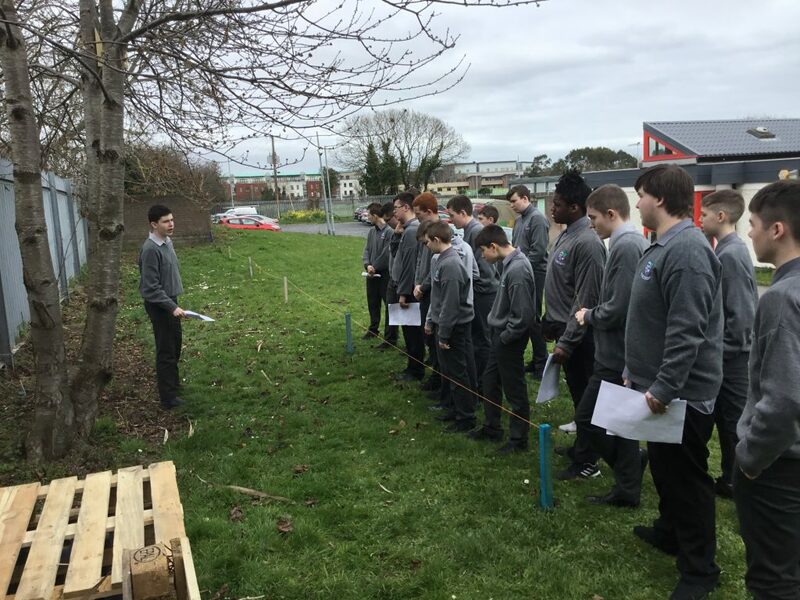 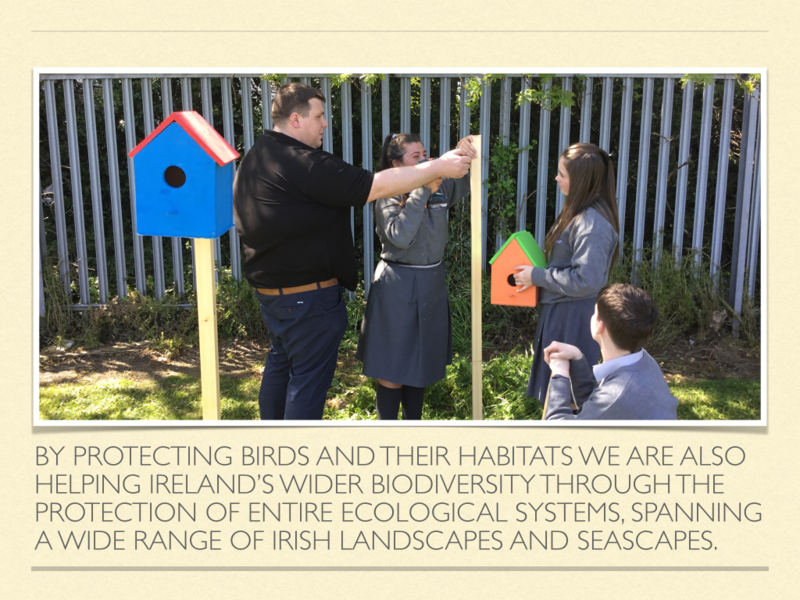 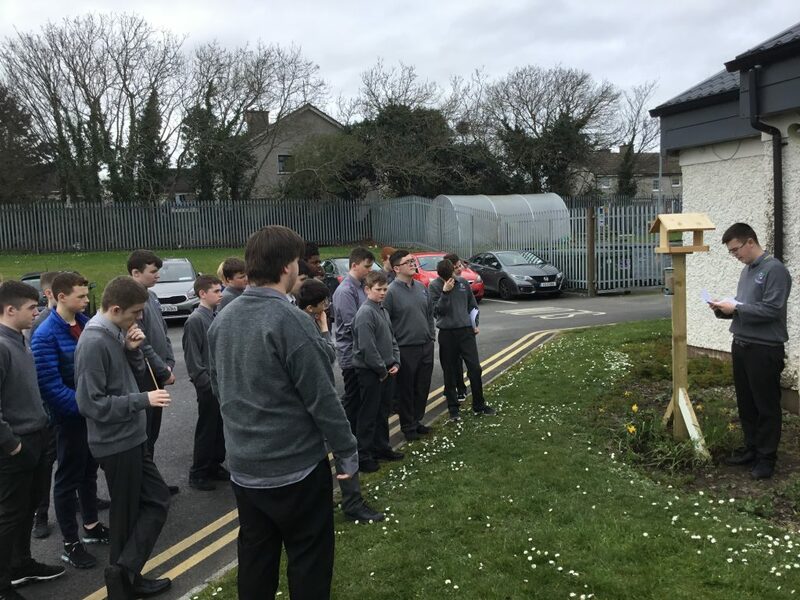 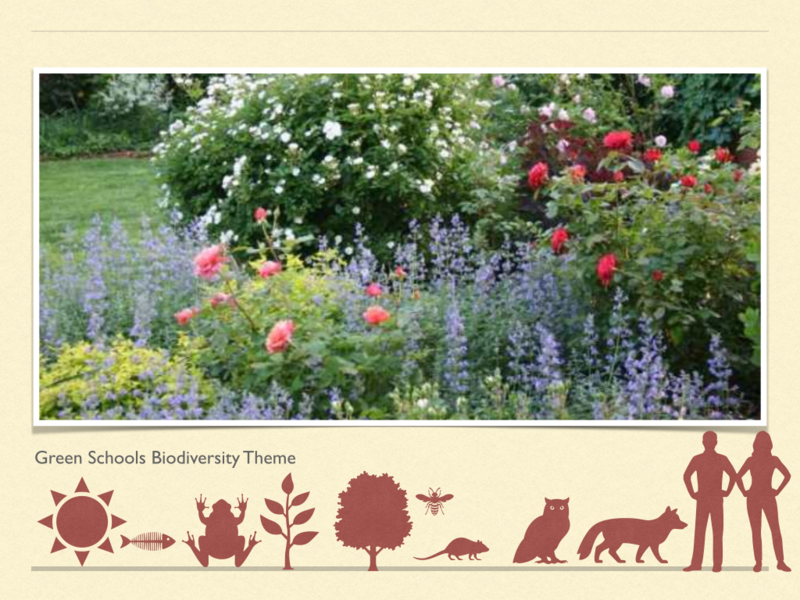 As part of our awareness day, selected Junior Cycle students will be brought on a walking nature tour of our bio-diversity area within schools grounds which demonstrates all of our hard work helping and protecting our nature conservation area. 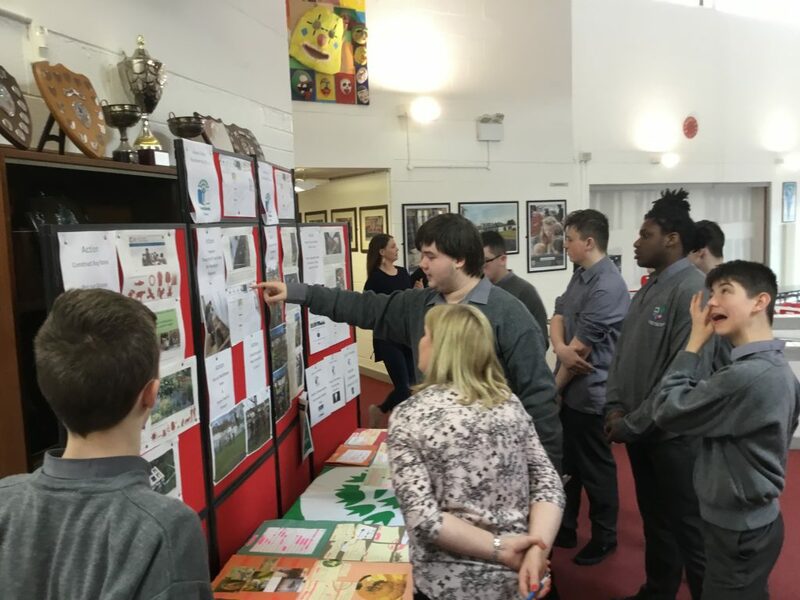 As always, a special thank you to all of our teachers who are encouraging and contributing to curriculum links around the theme, especially our Principal Mr Smyth, SNA’s Olivia & Leona and teachers, Mr Kirby, Mr Sugden, Mr Nolan, Ms McMahon, Ms McEntee, Ms Malone, Ms Parsons, Ms. Doran and Mr O Driscoll.